The M2 reeds are tuned slightly sharp for mild tremolo/swing sound (switches highlighted in blue). The M3 reeds are tuned flat to provide classic Italian musette (switches highlighted in green). The full spread M2M3 corresponds to classic German musette. The triple MMM musette is suitable for French/German/Slovenian styles (switches highlighted in red). The Bassoon, Clarinet, and Bandoneon remain concert tuned. 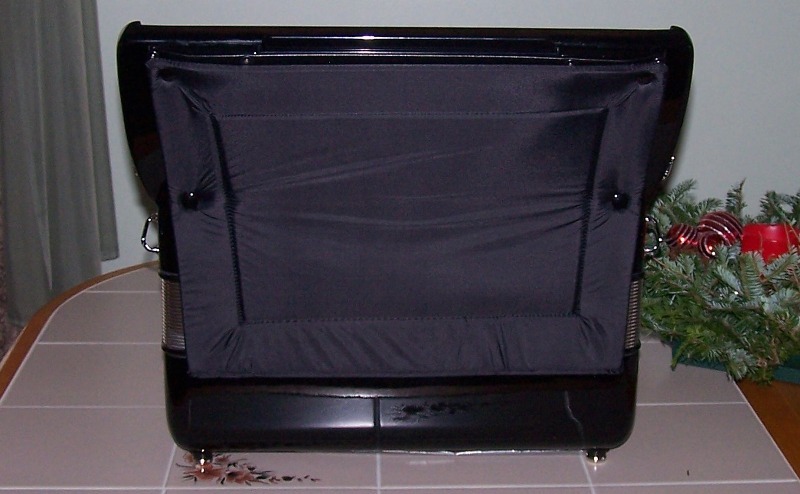 17-fold bellows beautifully finished with burgundy inner folds. 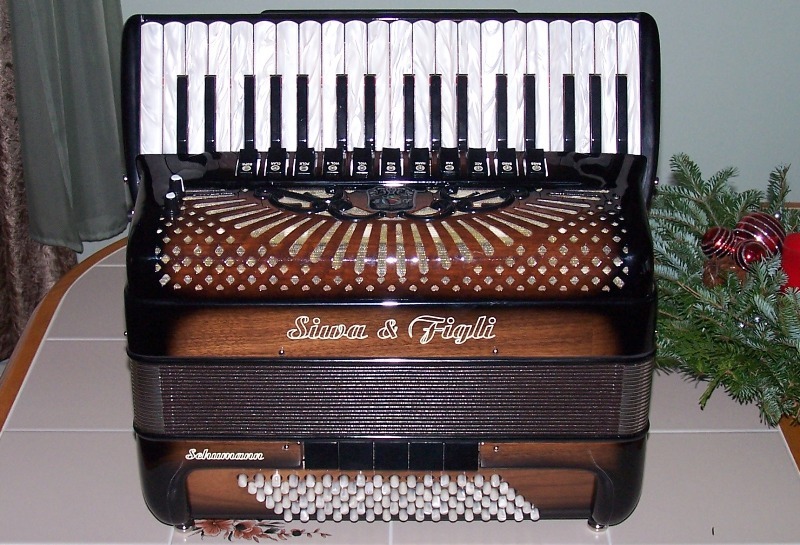 The bellows volume matches perfectly the reed configuration resulting in impressive efficiency of the accordion. 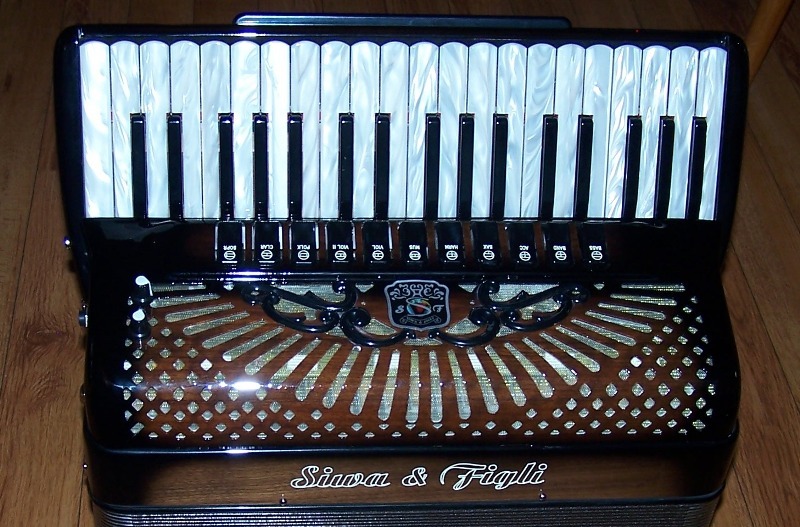 This instrument has a great feel and balance. The reeds are made in house and combine the tonal depth of the Siwa "bombate" reeds with the harmonic richness of the Sabbatini reeds in the middle of the spectral range. The effect is a powerful tone with well blended harmonics. 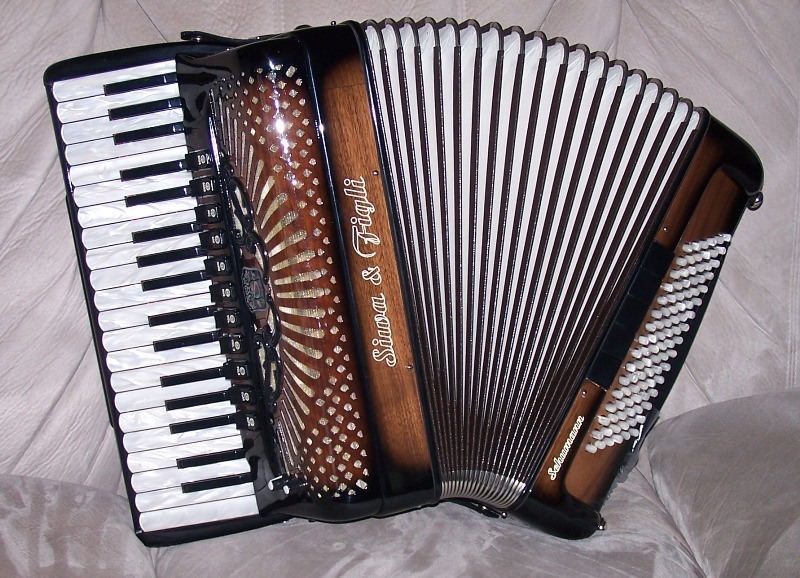 The accordion handles very easy. 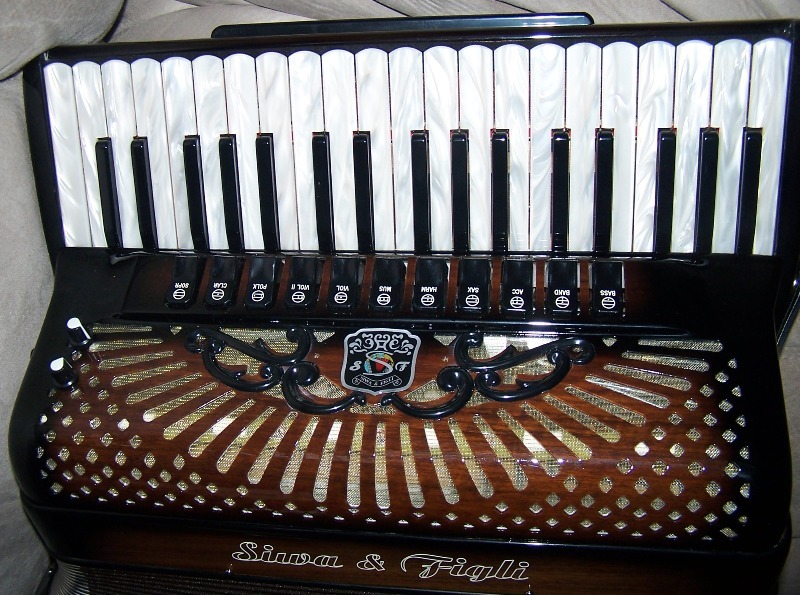 Play it at the Accordion Gallery side by side with the latest Beltuna Alpstar and Brandoni Classic 37 models and enjoy the distinct feel and tonal character of each brand. 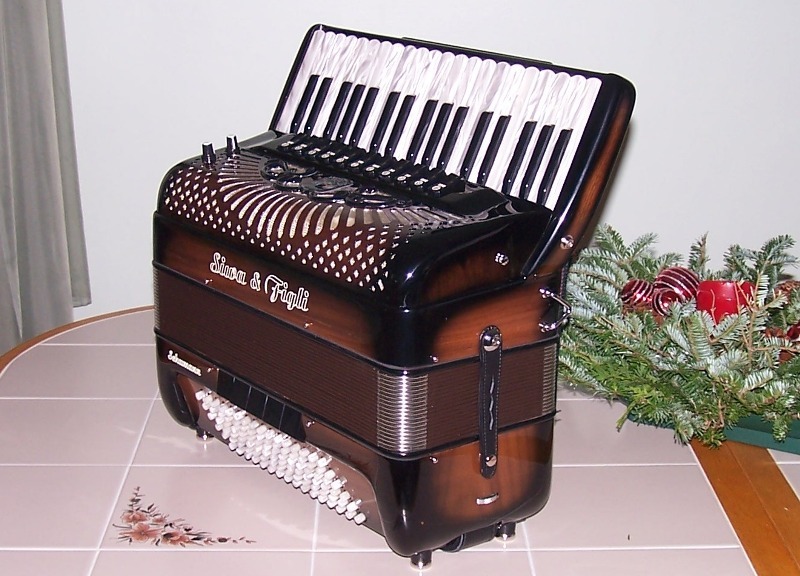 I am sure you will find the dream accordion for your needs. 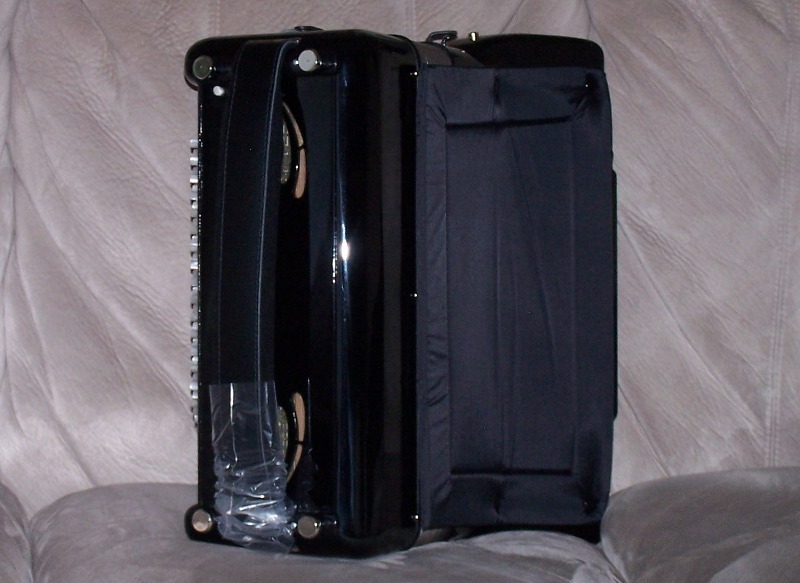 The accordion comes with 3 years warranty, serviced at the Accordion Gallery in Landing, NJ. 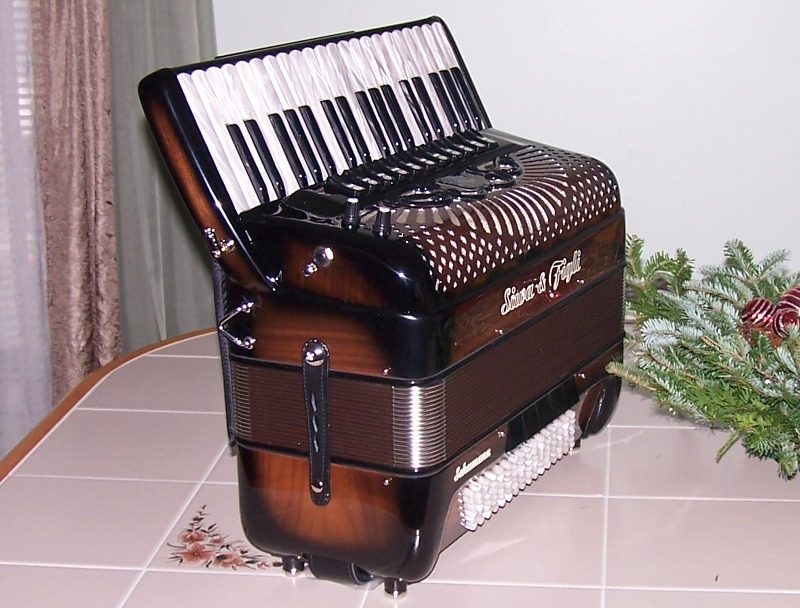 Call 973-770-6877 with any accordion related questions. I believe I can help.